Understanding and knowing the difference between macronutrients and micronutrients is key for your level 3 nutrition exam. 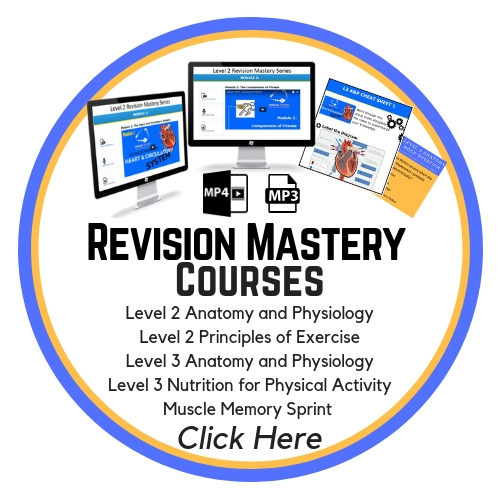 Many learners tell us that the exam questions were tough all because they didn’t truly know the difference between Macronutrients and Micronutrients. Press play on the video below, Hayley will make this topic super clear and leave you knowing and not guessing ready for exam day! 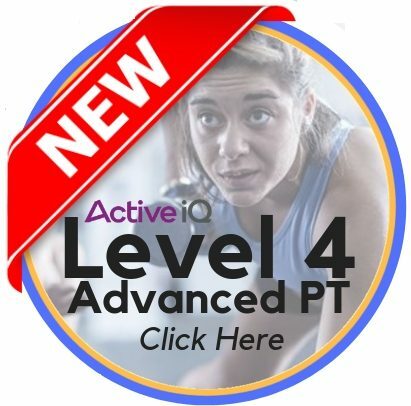 What we’re really talking about here is, module 2 of the Level 3 Nutrition exam: Understanding the Macronutrients and Micronutrients Groups. You can expect 4 to 6 exam questions around this module in your final exam so it’s key you understand the “Ins & Outs” to ensure you pass. and take notes as you go through todays tutorial making this complex topic, super simple! 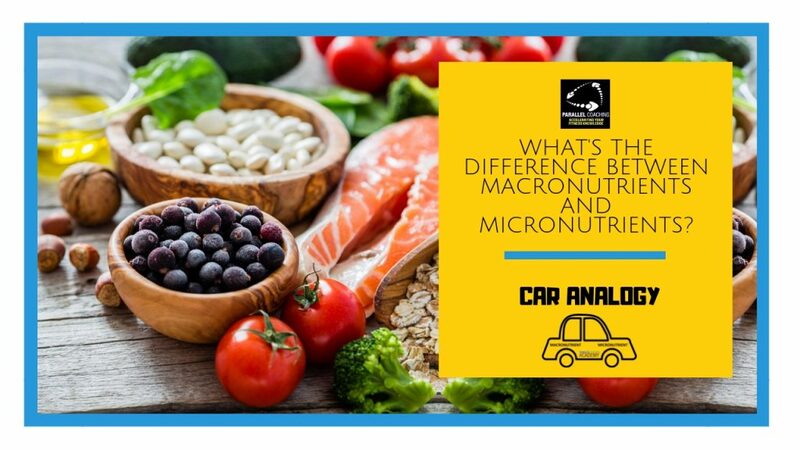 The way macronutrients and micronutrients are used can be explained in an example of how a car works. When your exam invigilator says, “you may now begin your exam”, use the first minute to write down your brain dump [if you’re unfamiliar with what a brain dump is CHECK IT OUT HERE] and draw a picture of a car, and write macro and micro on it. When you get to the questions about macronutrients and micronutrients you can use the brain dump to ensure you are on the right road – pun intended. The way we operate our bodies is similar to a car operates. Just like a car constantly needs filling up with petrol, our body constantly needs filling up on fuel. The bodies main fuel source comes from macronutrients. This includes carbohydrates, fats, and proteins. It’s these 3 macronutrients that provide the fuel or the calories for our bodies on a day to day basis. 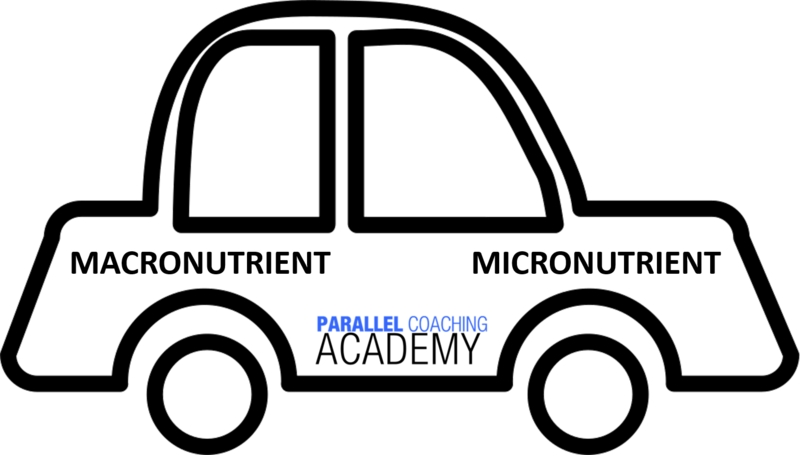 In your exam, recall macronutrients being the main fuel source to the body as petrol is to a car! Now let’s explore how Micronutrients relate to the car! Macronutrients to the body is like engine oil to the car! The oil in a car cools, cleans and lubricates the components of the engine so it does not seize up and remains 5* shiny and in working order. Without engine oil, the engine will not run (for very long). This is very similar to what micronutrients do in the body. Micronutrients are responsible for the smooth operation of bodily processes and functions. Micronutrients include vitamins, minerals, antioxidants, phytonutrients. Required in LARGE amounts and contains calories. Proteins = 4 calories per 1gram. Required in small amounts and contain no calories. They are a chemical element required in trace amounts for the normal growth and development of living organisms. Micronutrients allow the body to function effectively and efficiently. QUESTION 1: How many calories does a single gram of fat provide? QUESTION 2: Carbohydrate foods are beneficial in the diet because? QUESTION 3: Which of the following is a micronutrient?